Imagine standing on the peak of a cliff while the sun sets behind your back, nature singing, water flowing down a majestic waterfall as you speak words of unity, commitment and promise to the person you are about to spend the rest of your life with – If this is what a dream wedding sounds like to you, read on! 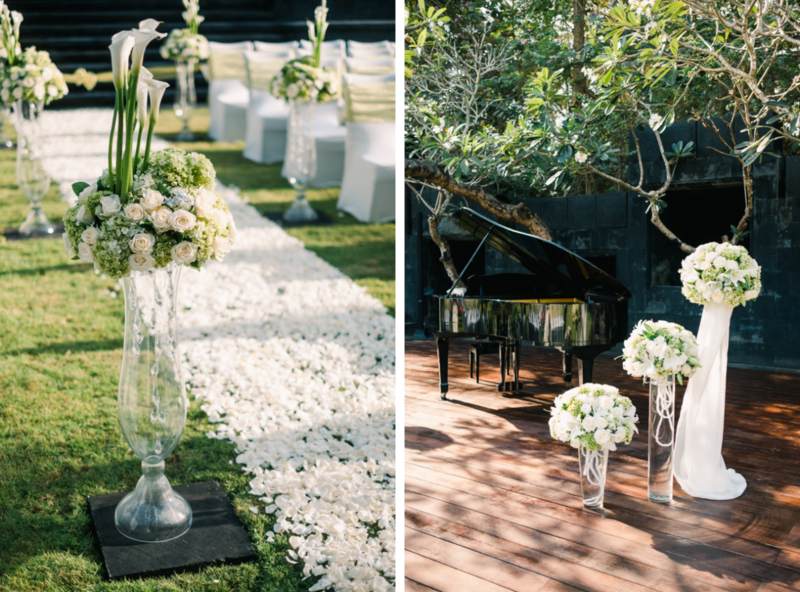 The following are 5 reasons why you should choose Bali as your wedding destination. #1: Destination blessed with good sun, sand and surf. Located just a few degrees south of the equator, Bali is a destination of tropical climate all year round. There may be slight chances of bumping into rain, but fret not as the abundance of existing facilities in resorts and villas would be there to save the day! If you’re up for it, the occasional rainfall may even serve as good “props” for your photos! Otherwise, choose a date from May to August, mark it down in your calendars, and you’re good to go! #2: Prepare yourself to be immersed in food, culture and nature during the entire course of your wedding. Go on a cultural tour of Bali. Bali is known for its unique heritage and culture, dating back to thousands of years before today. From unique Balinese architecture such as the Bulgari Resort of Bali, a hotel built on a 150-meter high cliff overlooking the Indian Ocean, to ancient temples like the Tanah Lot Temple, an ancient Hindu shrine claimed to be built in the 16th century, there’s almost a touch of Balinese culture in every turn you make. Prepare yourselves as you embark on an exhilarating Balinese cultural ride, as these experiences would in no doubt, leave a mark in your memories. Tasting food from Balinese cuisine will never get as authentic as having the Balinese preparing them for you. Tantalize your taste buds with Bali’s well-known Babi Guling, a pork dish made with a whole suckling pig. Also a popular dish is Lawar, a vegetable-based dish made with a mix of fresh vegetables, juicy coconut meat and succulent minced meat, together with fragrant herbs and spices, sometimes even fresh animal’s blood – how unique! Bali is known by many for its picturesque views of nature seen almost anywhere and everywhere. Climb up Mount Batur during wee hours of the morning to view the majestic sunrise at the tip of the mountain or visit Seminyak Beach for the chance to witness precious moments of the sun setting together with your loved ones. If you love the sound of water and the smell of nature, head to Bali’s most peaceful waterfall – Gitgit waterfall to feast your eyes on the beauty of Bali’s nature. No matter which part of Bali you’re at during any time of the day, your eyes are in for a treat! #3: The variety in wedding venues would leave you spoilt for choice. 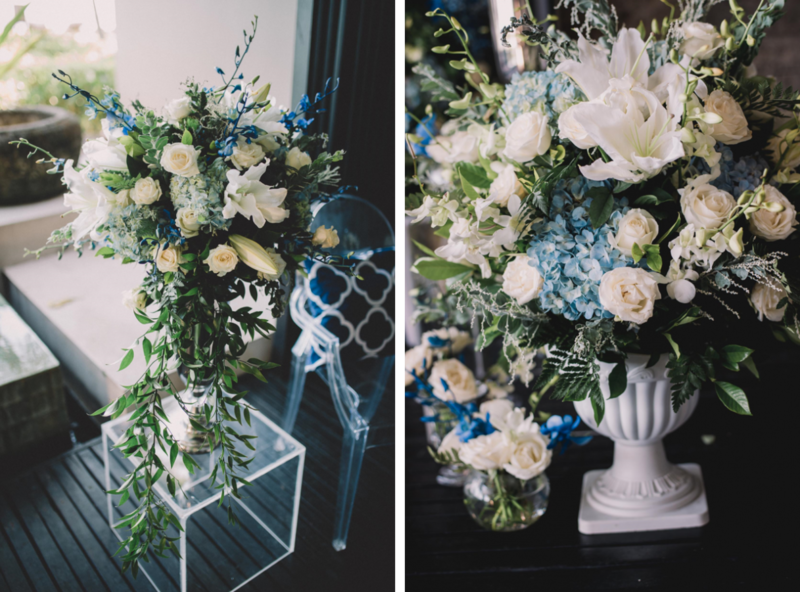 Deciding on your wedding venue would be a problem, not because of a lack thereof but due to the presence of almost infinite varieties. 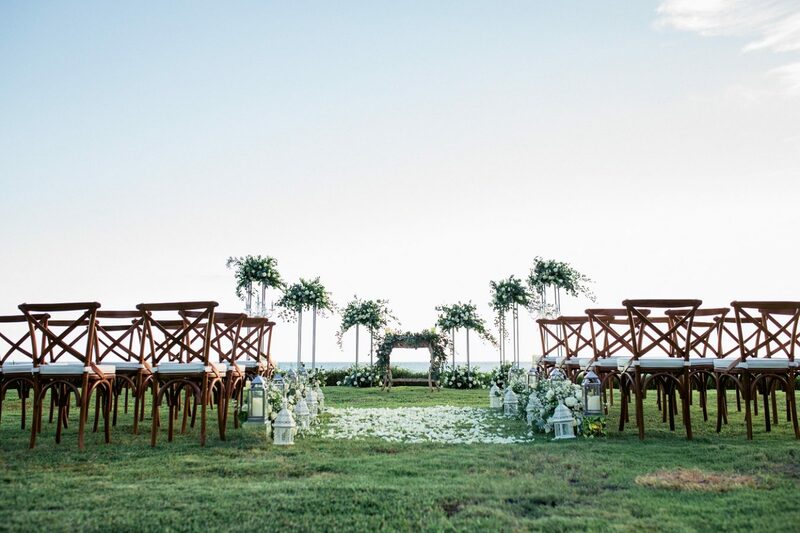 Think rice paddy fields, under a tree, or even on the top of a cliff – It would be the perfect choice to hold a unique and unconventional wedding on the island of Bali, especially in a place away from concrete jungles! A search through The Leading Hotels of the World portal brings you multiple luxurious choices of venues in Bali. 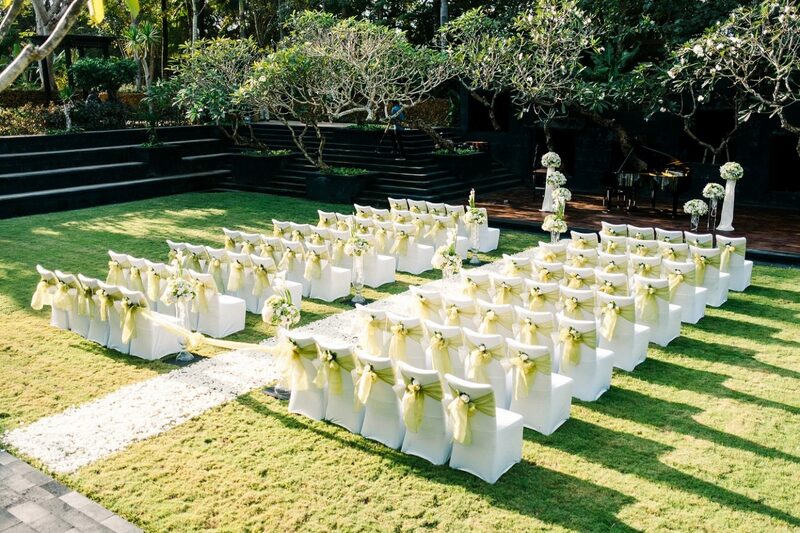 #4: Bali accommodates to YOUR preferred type of wedding ceremony. With Indonesia being one of the more tolerant countries towards religious freedom, Bali being situated within its perimeters would allow almost any kinds of wedding ceremonies to be held. From Buddhist to Catholic wedding ceremonies, anything is possible. Choose from a variety of Churches and Temples, such as the Vihara temple or even the Anantara Bali Uluwatu Resort & Spa’s cliffside chapel which overlooks the magnificent Indian Ocean, guaranteed to give you an experience like no other. Or choose to go with a simple non-religious blessing ceremony that is equally ceremonious and beautiful. 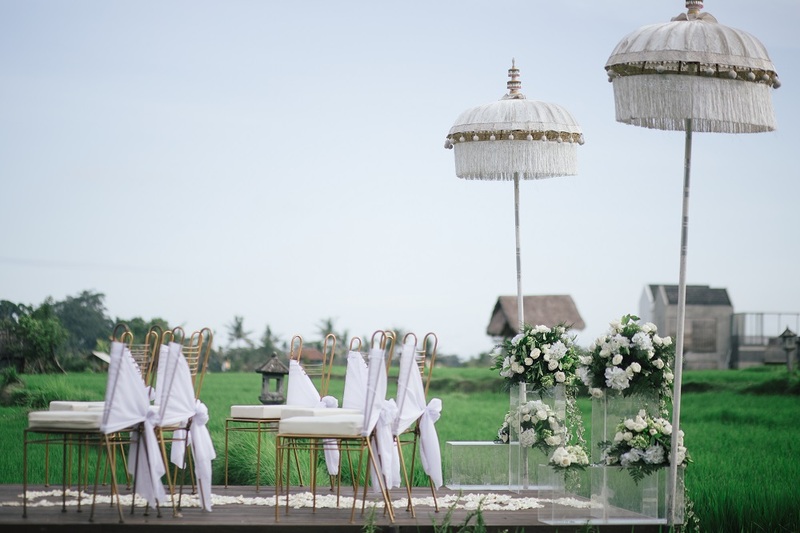 The Chedi Club Tanah Gajah located within Ubud has the most serene environment, amidst the padi fields for an intimate and truly Balinese wedding experience. #5: It is almost impossible to burn a hole in your pocket. Throw away your worries, as staying within your budget whilst being able to fully enjoy yourself in Bali is considered a piece of cake. With authentic Balinese meals priced as low as $1.30 USD per meal to a wide range of accommodation choices starting from $11 USD per night, this island would leave you wanting to come back for more. If you are lucky, you may even end up saving money for your next honeymoon trip! Planning your destination wedding and keen to find out about our services? Fill out the form below and we’ll be in touch!